Preserves memories and tabletops, too! 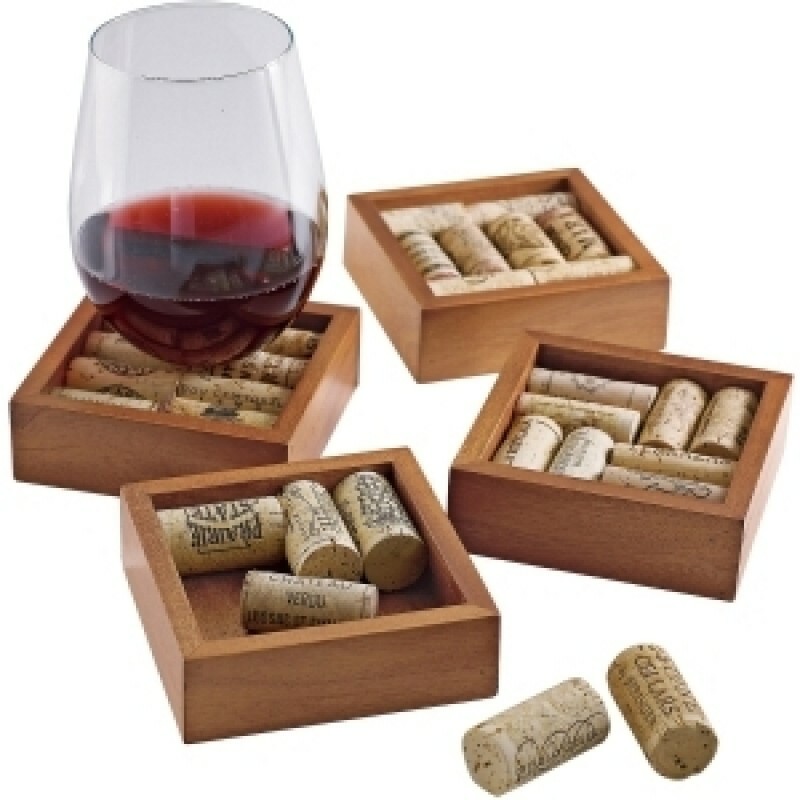 Fill these coasters with keepsake corks so only wine memories remain, not furniture stains. A fun, eco-friendly way to turn your love for wine into handsome home accents. We supply the solid mahogany frames and instructions. You supply the wine corks and imagination! Mahogany sourced from sustainable tree plantations. Set of 4.